Enter at the corner of Forest and Central. The county’s exhibits promoted products from land and sea. Within the California Building, Monterey billed itself as “The Mission County.” Relics included a chair made from branches of a tree under which Junipero Serra gave his first sermon in Monterey. View this very chair, along with marine specimens that made their way to the museum after the fair had ended. 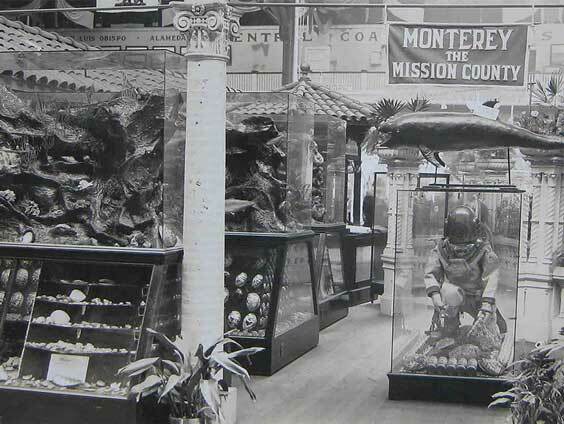 Other objects on view include materials promoting Monterey abalone and sardines, seafood products launched at the PPIE.